Higher packaging recycling targets for 2013-17 were confirmed in Chancellor George Osborne’s Budget today, alongside plans to radically shake up the planning system. In a Budget which Mr Osborne said ‘unashamedly backs business’ the Chancellor also committed to cutting corporation tax and to simplifying the CRC Energy Efficiency Scheme to reduce administrative burden on businesses. Plans for higher packaging recycling targets for businesses were launched for consultation by Defra in December 2011 (see letsrecycle.com story). Despite opposition from some such as the British Plastics Federation, the Budget confirms that these proposals will be taken forward. Commenting on the decision, environment secretary Caroline Spelman said: “The Chancellor’s announcement today to introduce more ambitious packaging recycling targets is great news for the waste industry, the economy and the environment. With regards to planning, Mr Osborne also announced that the government’s National Planning Policy Framework will be published next Tuesday – which he described as the “biggest reduction in business red tape ever undertaken”. Gaining planning permission is something which many in the waste industry have struggled with and Mr Osborne said it was integral to achieving growth in the economy. However, the Budget does set out plans to reduce the contributions which landfill operators can make to environmental bodies under the Landfill Communities Fund. At present, operators can contribute 6.2% of their landfill tax liability but this is not to be reduced to 5.6%. * Plans to rationalise environmental regulations relating to waste transfer notes, WEEE and hazardous waste as set out by Defra earlier this week (see letsrecycle.com story). * Plans to correct landfill tax legislation in relation to the definition of a landfill site in Scotland to align it with the rest of the UK. * Energy used in certain metal recycling processes will be liable to a reduced rate of 20% of the main rates from 1 April 2012. * Plans to consult on simplifying the CRC Energy Efficiency Scheme to reduce administrative burdens on business. Should very significant administrative savings not be deliverable, the Government will bring forward proposals in autumn 2012 to replace CRC revenues with an alternative environmental tax. 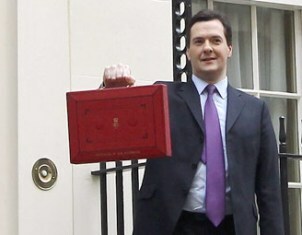 * Plans to reduce the main rate of corporation tax by an additional 1% from April 2012. The rate will therefore fall by two per cent, from 26% to 24% in April 2012, to 23% in April 2013 and to 22% in April 2014. * Confirmation of plans to scrap or improve 84% of Health and Safety regulation. Initial reaction to the Budget came from the Environmental Services Association (ESA) which welcomed the emphasis on infrastructure. Meanwhile plastic recycler ECO Plastics welcomed the higher packaging recycling targets for businesses but said that further changes would be required.